991 TEL NORWAY (1920) Norwegian costumes*. Men raising glasses*. Multicolor telegram (N) No Lx. H. Beautiful and scarce! 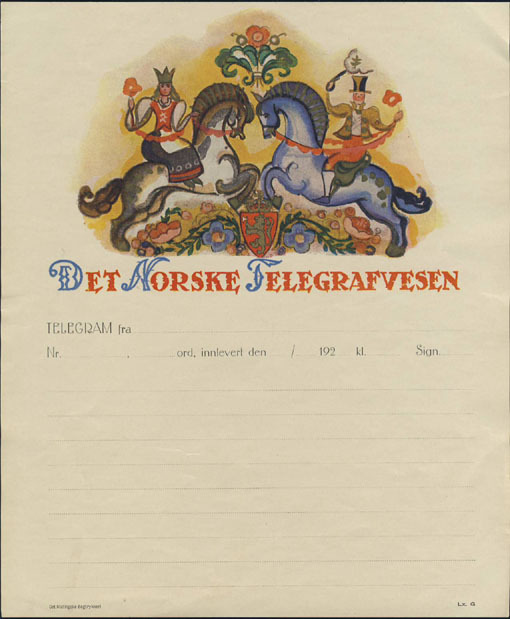 1448 TEL NORWAY (1925) Horses*. Traditional Norwegian costumes*. Multicolor telegram (N) No Lx. G. Scarce early telegram! 1271 TEL NORWAY (1938) Man on his knees* presenting bouquets of flowers*. 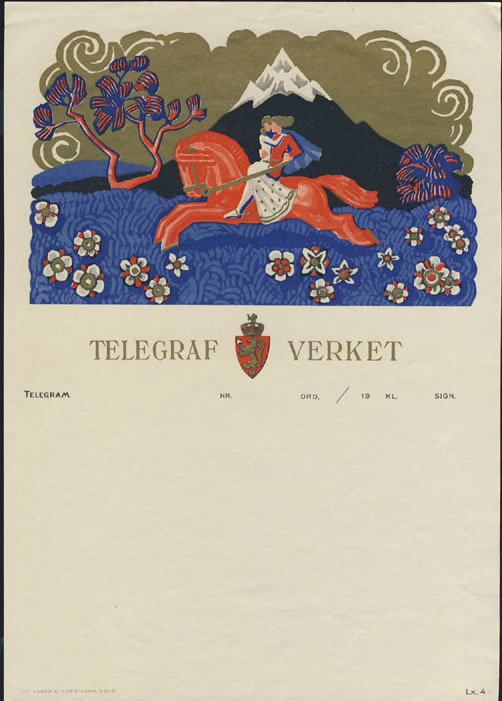 Attractive multicolor telegram (N) No Lx.1. 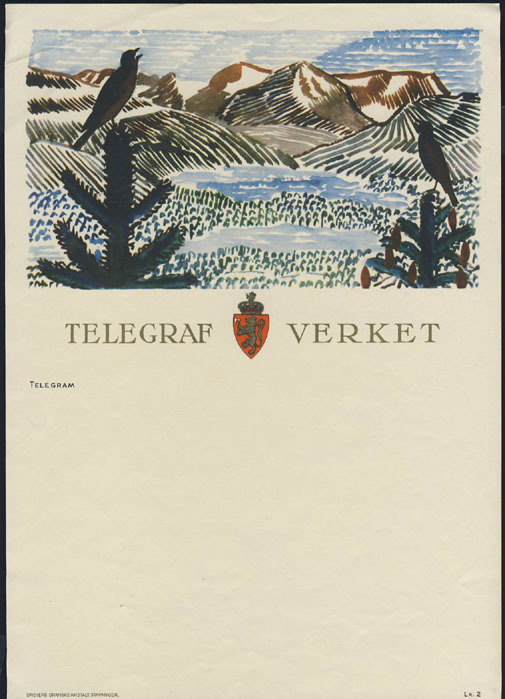 1814 TEL NORWAY (1938) Mountains*. Birds* on top of pine trees*. Multicolor telegram (N) No Lx. 2. 1815 TEL NORWAY (1940) Snow-covered mountain*. Couple* riding horse*. Multicolor telegram (N) No Lx. 4. 1386 TEL NORWAY (1950) Roses*. 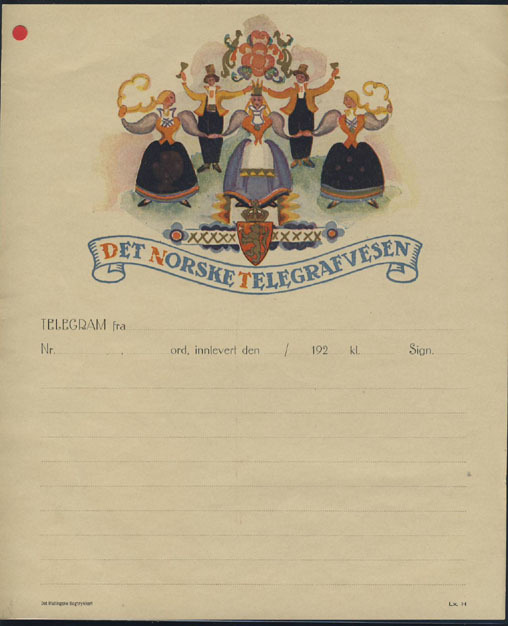 Superb multicolor telegram (N) No Lx. 6, type 1. The paper is cream-colored and the roses are pink. 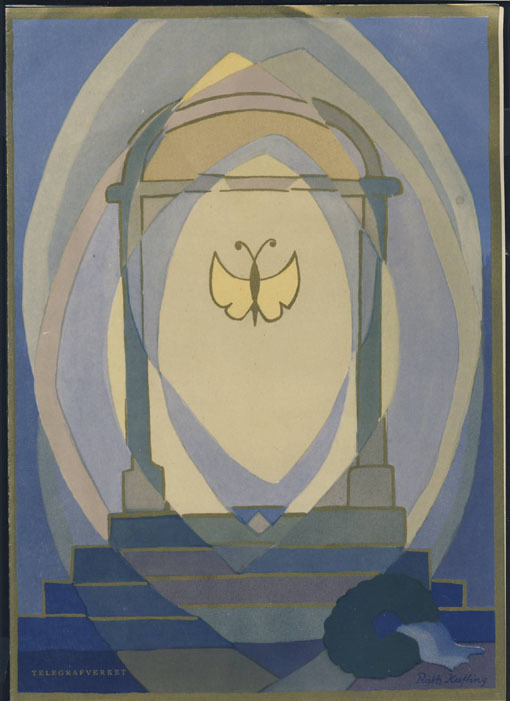 675 TEL NORWAY (1960) Stylized butterfly*. 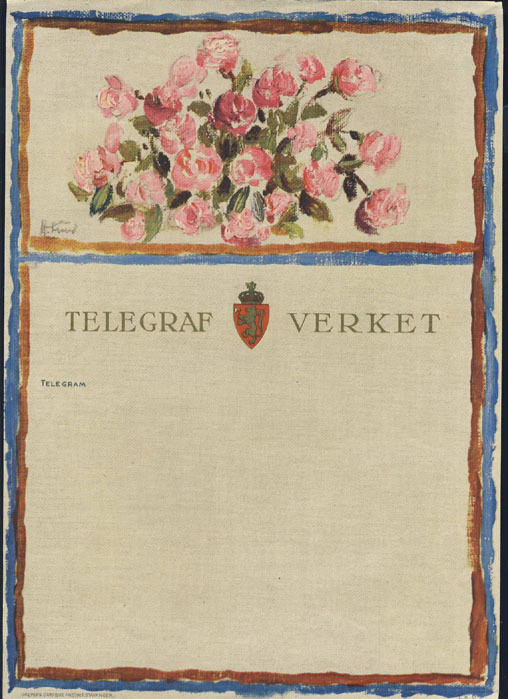 Multicolor telegram (N) No Lx.24. Superb! 16271 TEL NORWAY (1960) Roses*. 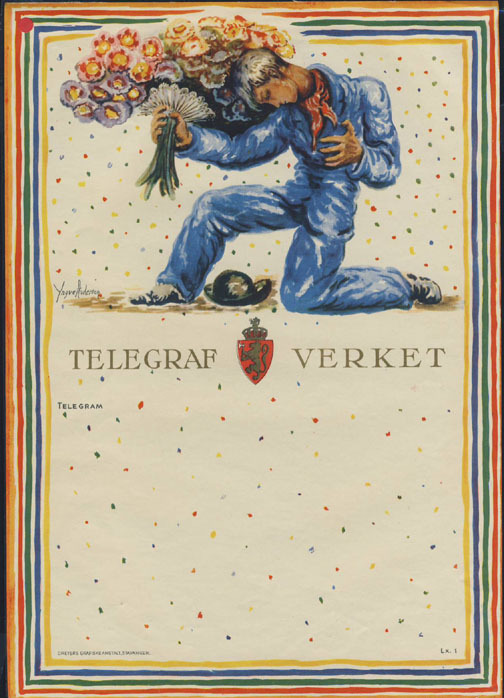 Superb multicolor telegram (N) No Lx. 6, type 2. 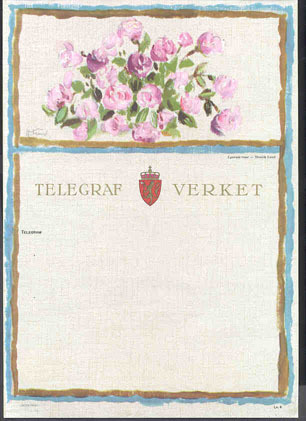 The paper is white-colored, the Norway shield is different, and the roses are lilac.